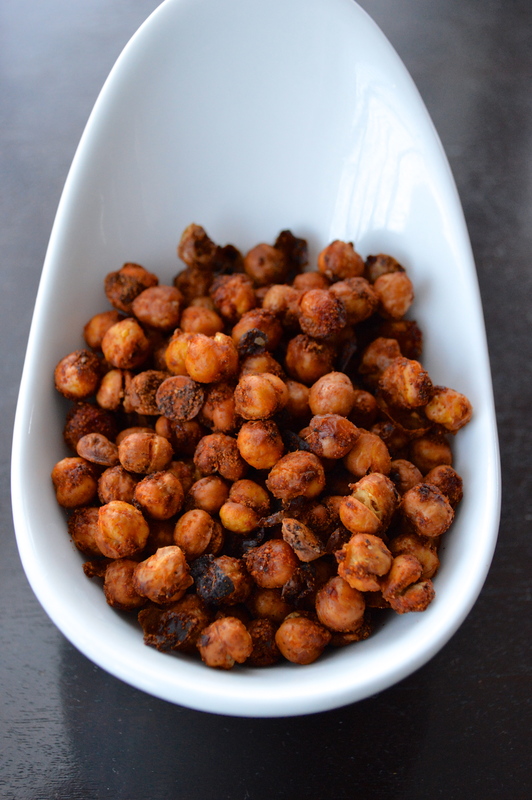 These are one of my favorite snacks + they’re so easy to make. I like these because they’re full of protein + only a few ingredients… it’s a good one to throw in your purse in case you’re caught out without any healthy options! You can change up the spices on these based on what you like and it turns into one of the most versatile recipes you’ll try! Preheat your oven to 400 degrees. Drain + rinse one can organic garbanzo beans and pat dry with a towel. The dryer they are, the crispier they will get in the oven so this step is important! Some of the skins of the beans will come off naturally as you roll them in the towel, pick them out or leave them if you don’t care… they won’t hurt anything! Put the beans in a bowl and add 1 tsp paprika, 1/2 tbsp cumin + 1/2 tbsp safflower oil, toss to combine. Place on a baking sheet (I get mine hot in in the oven first while it’s preheating) and roast until you’ve reached your desired crispiness, 30-40 minutes! Let cool completely before packing in a container! Preheat your oven to 400 degrees. Put the beans in a bowl and add remaining ingredients toss to combine. Place on a baking sheet and roast until you’ve reached your desired crispiness, 30-40 minutes! Let cool completely before packing in a container! These look great. My husband is always looking for a high protein snack for long workouts. Thanks! You’re so welcome! This would be perfect for that! These look great. A nice snack. I reckon they’d work very well with brown chickpeas too. Great recipe! 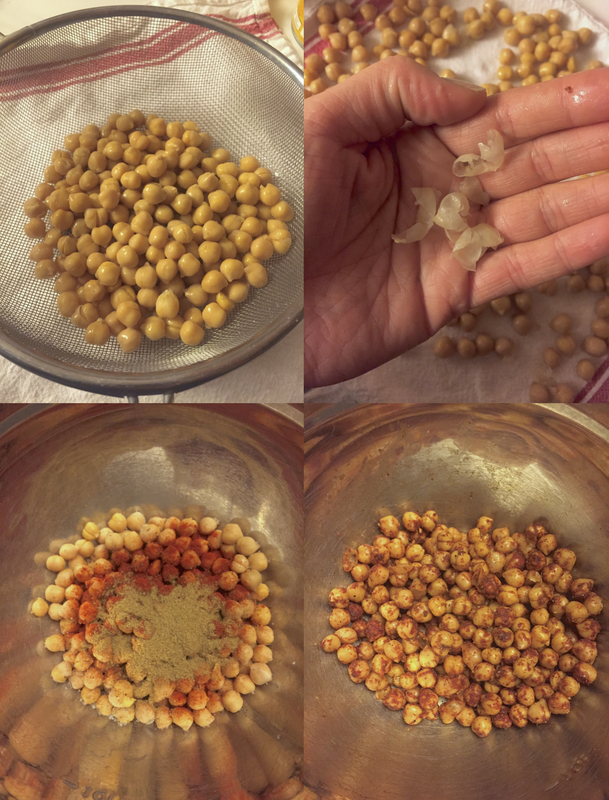 I make these often and one of my favorite ways to enjoy them, if I haven’t already eaten them out of hand, it to use them as “croutons” for soup. What a fantastic idea to use them in soup!! This looks so easy to put together! Any ideas of trying this with any other canned beans? It’s is super easy! You could probably do it with green beans or edamame!